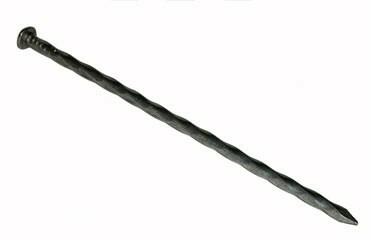 These spikes are ideal for staking in aluminum garden or paver edging. Can be useful in other applications as well; ie. : nailing 6″ X 6″ ‘s together for retaining walls, provide strong hook to hang garden tools on, etc. 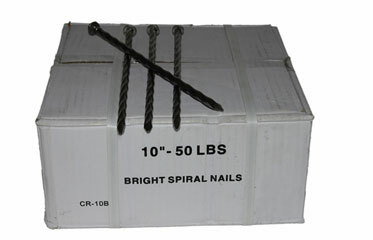 The diameter of these spikes is 3/8″ and they provide for a good snug fit in garden edging. These spikes are steel, spiral and non-galvanized, when they rust they hold on to the ground better. Our 50 LB. box contains 250 spikes and retails for $79.99. Our 16 LB. box contains 80 spikes and retails for $39.99.